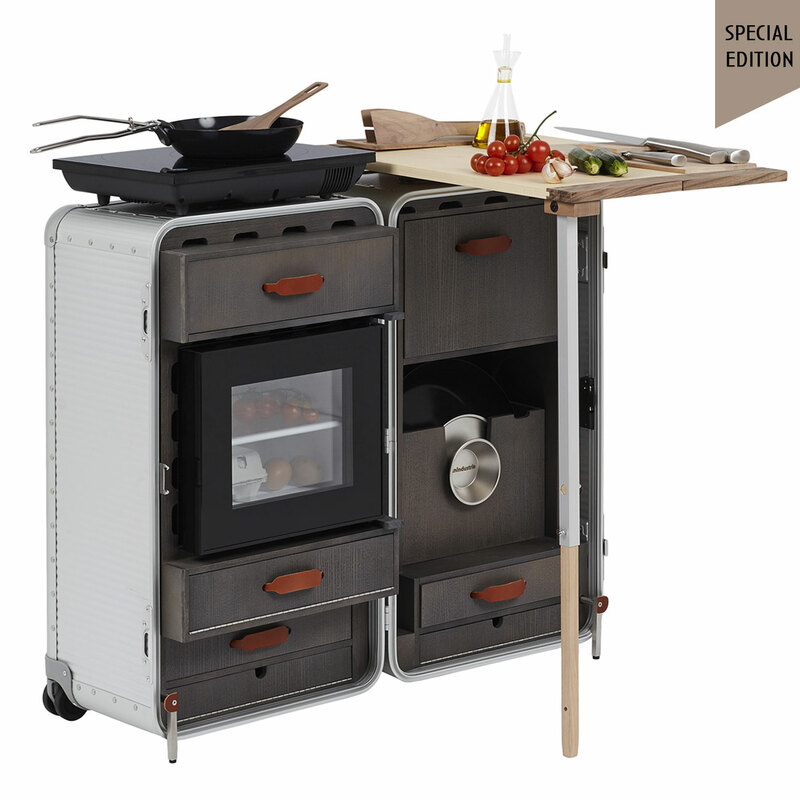 The Cookstation is a genuine portable kitchen in a “suitcase”. Part suitcase, part kitchen, this is a functional solution where nothing is taken for granted so that it meets the modern nomad’s every need, where private life and work intersect in the spaces and situations of a different future. The Cookstation, equipped with a cook top and a refrigerator, will allow even the most discerning travellers to achieve perfect efficiency, so as to satisfy last minute cravings for "tea in the desert" or a spontaneous midnight picnic for two in the great outdoors.